Clearwater, Florida Plumbing Contractors Since 1979! 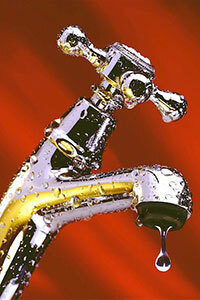 An often overlooked commodity in your home is the plumbing system. 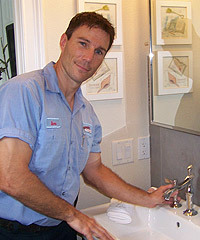 Your home plumbing makes it possible to do many necessary things each and every day. When the indoor plumbing does not work properly it can be extremely difficult to function. That is when it is important to find a reputable plumbing company that you can depend on for a prompt and quality plumbing service. 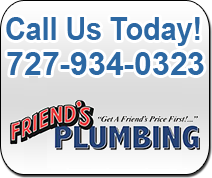 Fix your plumbing problems by contacting Friends Plumbing for your septic, sewer, water heater, softener, and house plumbing repair needs. Since 1979, our family owned plumbing business has been helping residential, industrial, and commercial plumbing customers in the Tampa Bay and surrounding areas. Our licensed and highly trained plumbing service technicians use only the most reliable equipment to provide you with the best plumbing services possible. We are fully licensed, bonded, and insured for your protection. For on time and under budget plumbing installation and repairs, call the number one plumbing contractors in the area where our experience will give you the results you expect. 1.Compare your water usage between taking a bath and a shower. Take a bath and mark the water level with a piece of masking tape. Next time you take a shower stop up the drain and compare your water usage. Which takes less water? 2.When taking a bath, or using your sink for dish washing, put in the stopper AS YOU BEGIN TO DRAW WATER. It will begin as cold water but the addition of the hot water will give you the proper temperature while reducing your water usage! 3.The difference in a five minute and ten minute shower is about 45 gallons of water. Shorten your time and save water! 4.A dishwasher uses three to five times more water than doing dishes by hand. More labor, less water. You choose! 5.Don’t run tap water while waiting for it to get cool. Keep a jug of water in the refrigerator. You will have a cooler drink and save!